The following recipe is dedicated to fans of this fish, which mainly comes in smoked fillets ready for consumption in Italy. For some years I’ve found the version with less salt in the grocery store, definitely preferable to the saltier preparations. In the tradition of the country where I live, herring is a typical dish for the first day of Lent. They are prepared in various ways and accompanied by grilled polenta. 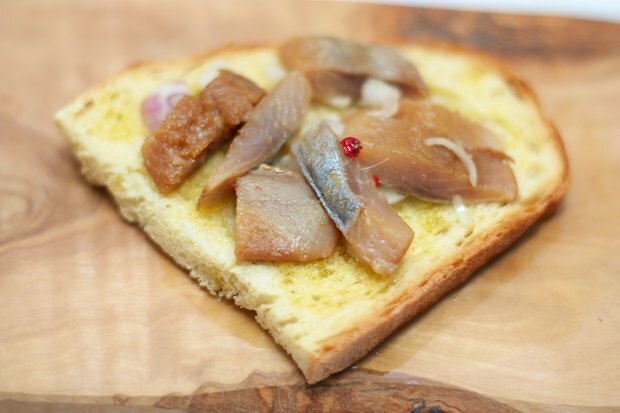 Smoked herring has a very intense flavor. It’s a typical fish of the North Sea and is widely used by people who live near these cold waters. They are rich in Omega 3. The crostini that I propose are very rustic and very good accompanied by a good beer. 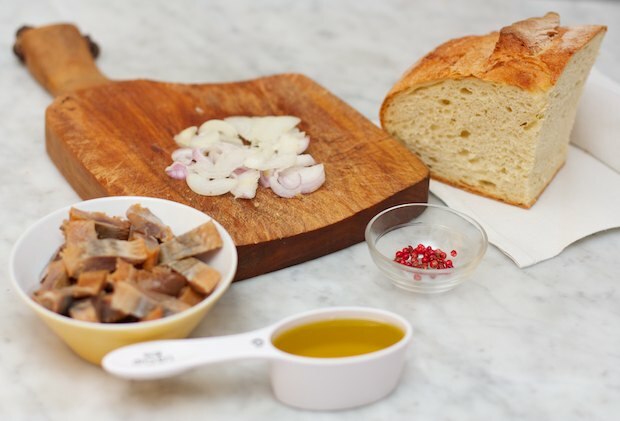 Thinly slice the shallot and cut the herring fillets into small pieces. 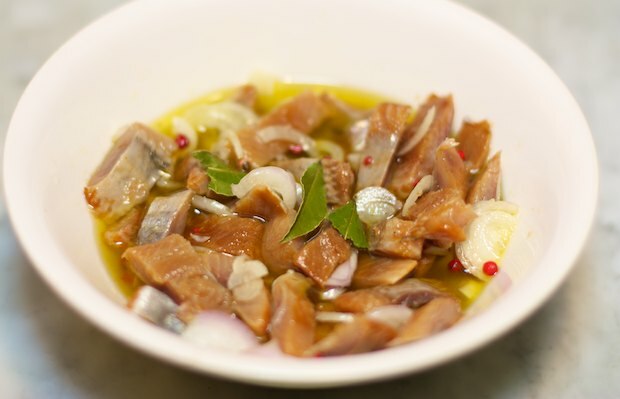 Add the onion, herring, pink peppercorns, and bay leaves in a bowl and cover with olive oil. Allow the mixture to marinate at least an hour, it’s better if you leave it over night. Serve on toasted whole wheat bread, toasted in the oven.